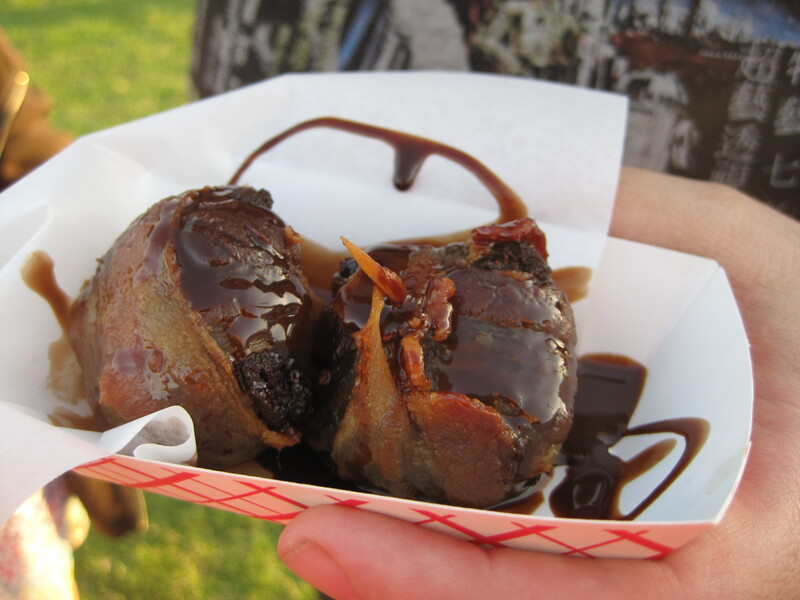 Summary – Some good food to be had here at BACON MANia and it’s pretty unique, too. 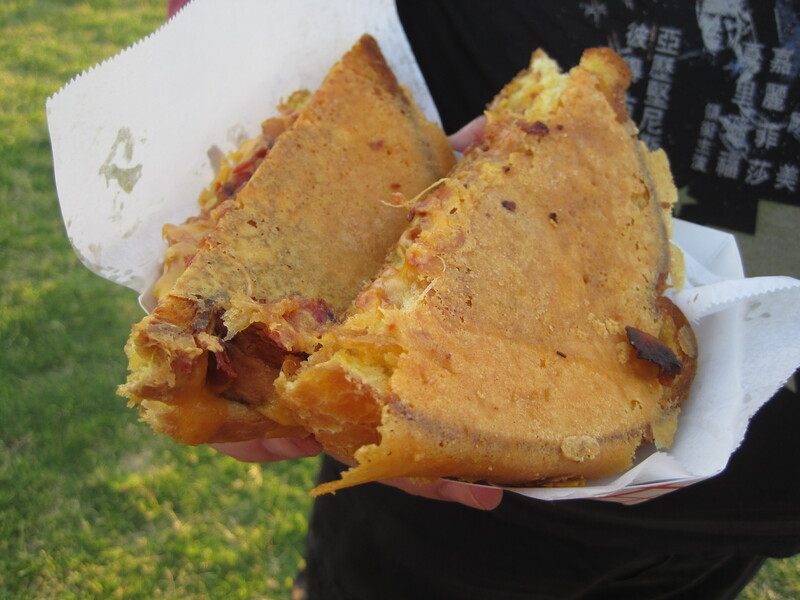 Good – The Jack Back Sammie (bacon and grilled cheese sandwich) was delicious. Cheese bread and melted cheese plus some really good bacon made this go down well. The bacon brownies were a good contrast of sweet and savory that made the Denny’s Baconalia bacon dessert look even worse in comparison. looked sort of yucky at first (though it tasted quite good). Random-Well, it’s a bacon food truck. Still pretty unique, no?